MAASTRICHT, January 2018 – During the month of January the Making Clinical Sense project team was locked away in the attics and cosy rooms of the old buildings in our Faculty, brainstorming, playing games, chatting, drawing, drinking Bandito’s coffee and eating homemade slice (thanks Rachel!). We welcomed our new post-doc John to the project, while the three ethnographers, Anna, Rachel and Andrea caught up after months in their respective fieldsites. We shared ideas and found points of difference and connection. We looked at photos, discussed ethical challenges, worked on a co-authored paper, planned future workshops and rearranged our data storage. We had wonderful meetings with our local advisors, Jessica and Bernike, and Harro and Sally who supervise the PhDs, exploring findings from the first stage of the fieldwork and sketching out exciting new trajectories to explore as we all head back into the field. And during all of this the anthropologist of science and technology Lucy Suchman made a visit too (see more here). We couldn’t have arranged all our meetings if it wasn’t for Carla (and Google Doc), who starts her own ethnographic study of sound in nursing homes soon. 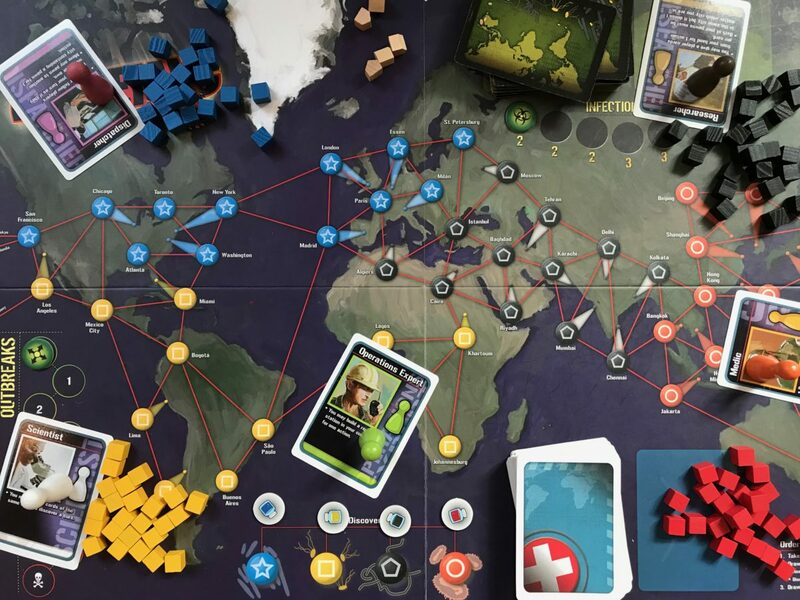 Just like a good game of Pandemic, you also can’t work in this way without collaboration, generosity, imagination and a few lovely local beers.